The Red Queen said to Alice “one has to run constantly simply to keep in the same place” and that is true in today’s dynamic manufacturing Industry. Every company must continue to invest in Digital Manufacturing programs just to stay in the game. And figure out best ways to outsmart competition by overcoming The Red Queen Effect. Digital technologies are shaping the future of manufacturing industry. Industry 4.0 is transforming products, processes and economics of manufacturing operations. The industry is certainly overwhelmed with the buzz and poised for a new chapter of growth, transformation and re-evolution. There is a sense of optimism, a plethora of articles and whitepapers talking about promises of Digitalized, Automated, Connected, Intelligent and Unreal future. It’s time we take a pause and think about making it real. You might say “There is nothing wrong with that picture !” and I would agree considering that’s an obvious reaction. However, I believe there is a need to reimagine Digital Manufacturing Initiatives. Manufacturing industry is experiencing “The Red Queen Effect”. I am not referring to the ‘Red Queen’ from the movie ‘Resident evil’ – an Artificial Intelligence created by the Umbrella Corporation. Rather a phenomenon that is going to change the way manufacturing industry looks at emerging technologies. Let me explain this. ‘The Red Queen Effect’ is a popular theory in evolutionary science which claims that an organism must evolve continuously to survive. The metaphor in business world is to describe unsuccessful efforts of a company to outperform competition. It usually happens when companies invest somewhat similarly on innovation and technology to get ahead of competition. The techniques like that work in theory but in real world, No company gets real advantage. This is a fitting analogy for current state of Digital Manufacturing, wherein companies are making similar investments, working on similar initiatives and aiming to achieve somewhat similar benefits. Let’s validate this hypothesis with the help of research. McKinsey & Co. in Digital Manufacturing Global Expert Survey 2018 has found that most manufacturers are stuck in “pilot purgatory” when it comes to the practice. By “pilot purgatory,” McKinsey means there is significant activity underway but companies haven’t experienced meaningful bottom-line benefits. McKinsey noted in the report that most companies are still struggling to move successfully from the piloting of point solutions to delivering sustainable impact at scale. Success stories for capturing sustainable impact at scale are still few and far between. Overall, the pilot-to-production yield rates across Digital Manufacturing are very low given the high priority manufacturers place on this initiative. However, less than one-third (30%) had actually moved their programs from pilot to scale. The report notes that with regard to innovation and engineering transformation, only 21% organizations would be considered at an advanced stage. Almost one third of the manufactures remaining at the pilot stage of the transformation. 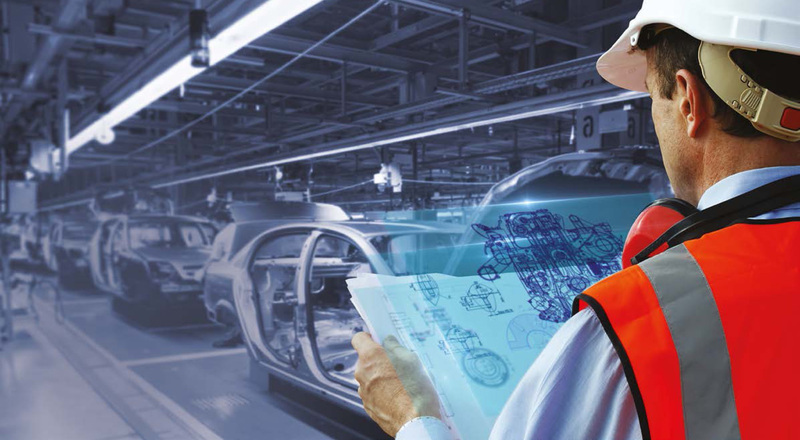 Only 17% of manufacturers have made substantial progress across all the six dimensions of engineering transformation maturity by adopting digital technologies that streamline the development and launch of smart, connected products that drive services revenue and valuable data. To summarize, organizations clearly see benefits of Digital Manufacturing but unable gain a digital advantage. So what’s going wrong? Are companies struggling to scale up due to lower returns ?or failing to adapt due to organizational constraints ? or it’s that many companies are simply moving the needle just to discover that competition is already there. There is a need to exploit emerging technologies to keep up with Digital manufacturing trends. That is a big challenge for many companies and an equally big opportunity to build innovative business models based on Smart factories and connected products. In the Book ‘Through the looking glass’ Red Queen said to Alice “one has to run constantly simply to keep in the same place” and that is true in today’s dynamic manufacturing Industry. Every company must continue to invest in Digital Manufacturing programs just to stay in the game. And figure out best ways to outsmart competition by overcoming The Red Queen Effect.